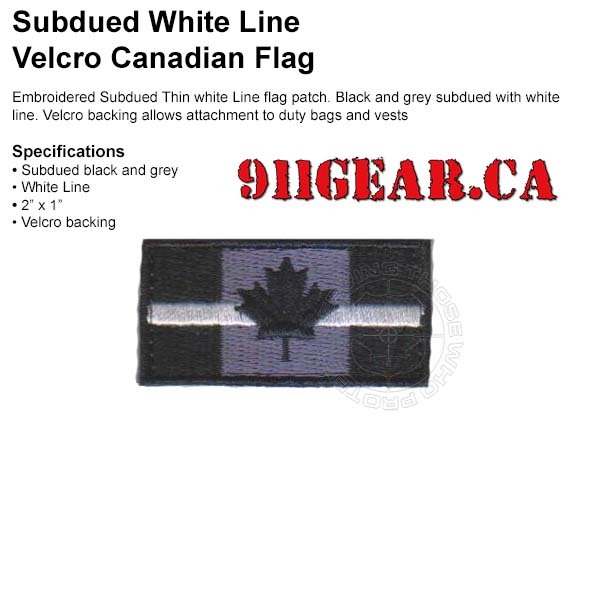 Canadian Thin white line paramedics patch with velcro backing. The patch is 2" x 1 inch with a subdued look. Black with a gray flag and a white line.